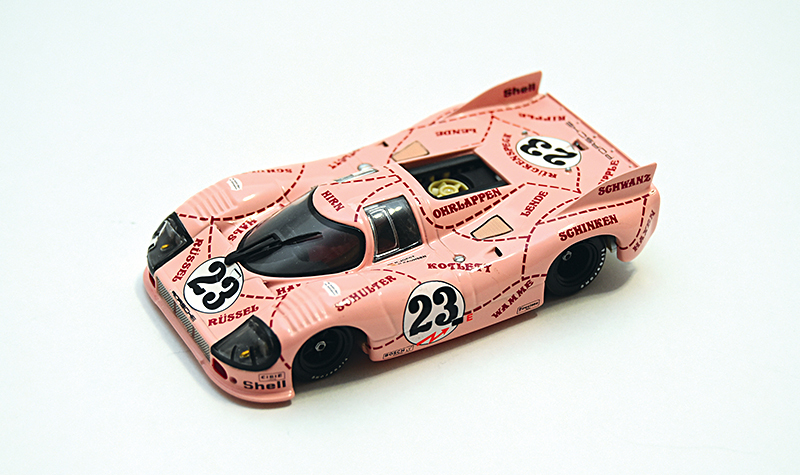 The Porsche Pink Pig, also known as the 917/20, is one of the more celebrated of the Porsche 917 series. Sporting experimental aerodynamics developed with the French company SERA, it had widened bodywork designed to give more downforce with better top speed. 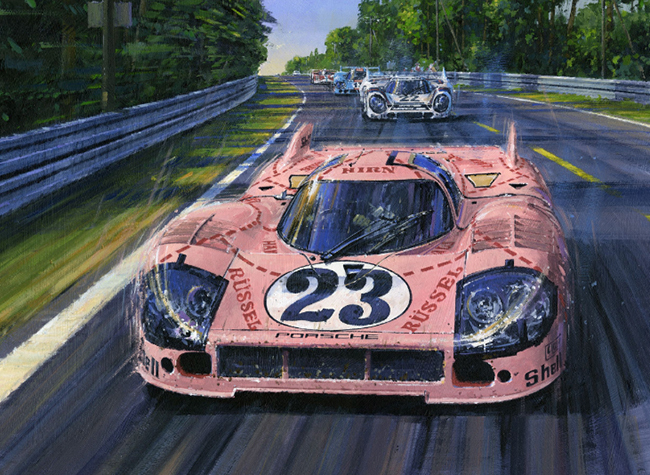 The short-tail 917K of 1970 had proven slower in a straight line than the long-tailed 917L, so Porsche worked with SERA on a solution. The new car was ungainly to say the least. Some said it looked like a pig. 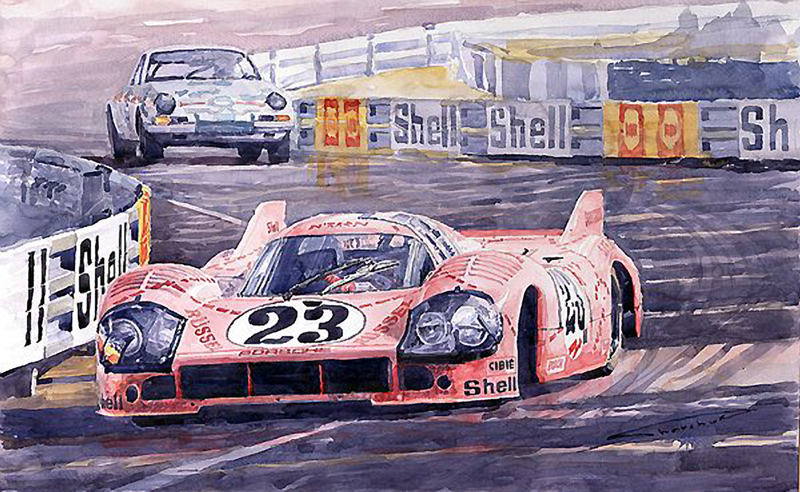 However, it was the fastest car in the pre-race test for the 1971 LeMans race. Unfortunately, it crashed out of the race in the 12th hour while running in 5th position, with Reinhold Joest and Willy Kauhsen driving. The car provided useful aero testing data for the coming Can-Am 917-10 though, where high-downforce was needed for 1000hp cars. 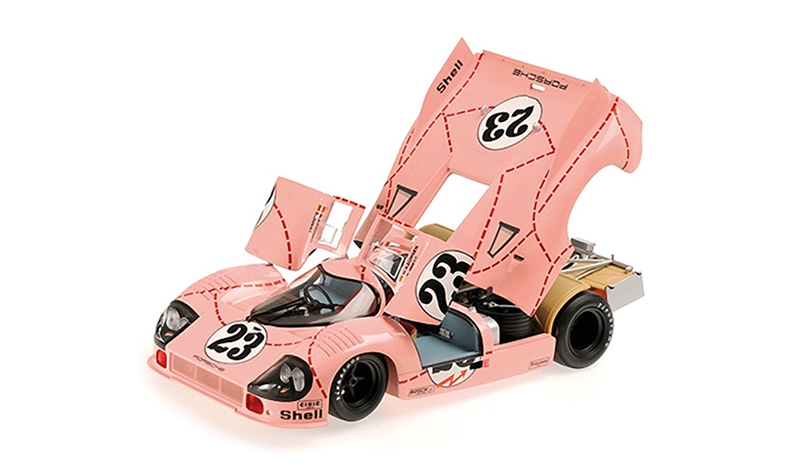 The first test model for the 917/10 (right) had a very similar nose to the Pig. A Porsche designer decided to have some fun with the decoration for this car. 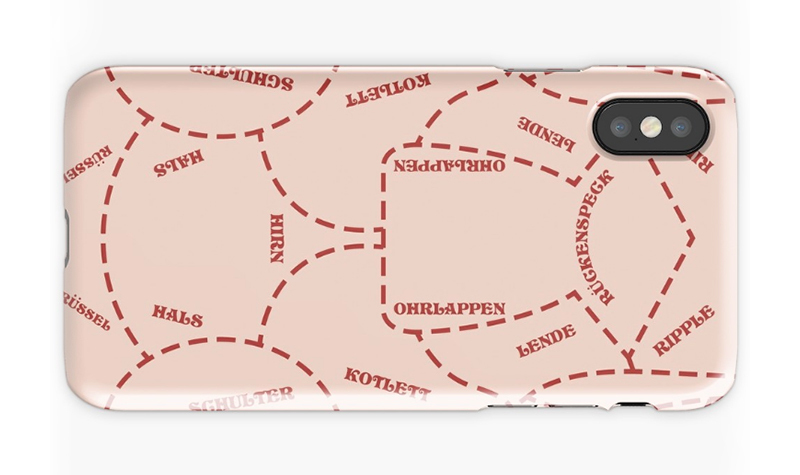 Painted a perfect piggy pink, it depicts the butcher cuts of the oinker. In an age when men were pink-phobic, this was quite something. However, the car was instantly famous and a classic. Like the iconic Gulf motif, the Pink Pig design has found its way onto many a private Porsche. 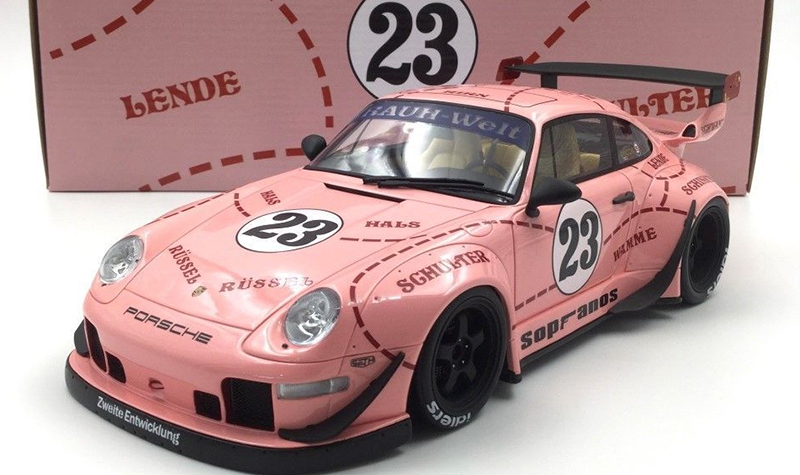 Porsche itself has now run a Pink Pig “tribute” car at the 2018 LeMans race, alongside a “Rothman’s” tribute car. They ran wonderfully well, the Pig in first much of the time. 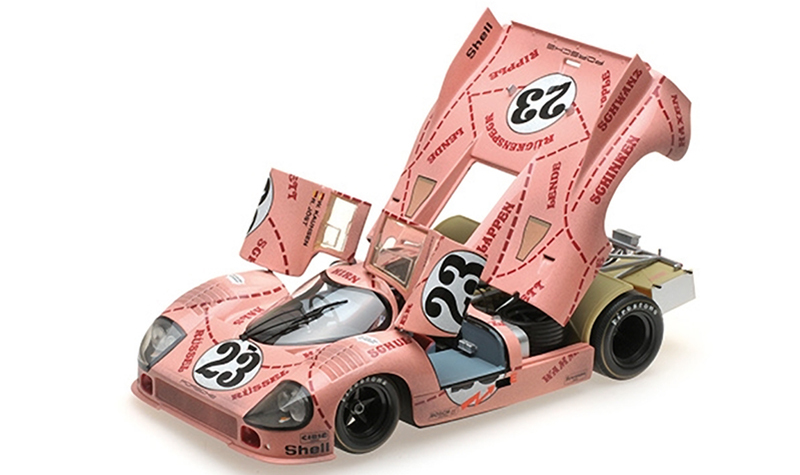 The 911GTR Pig was more successful than the original, taking a class win ahead of its brother Rothman’s car. 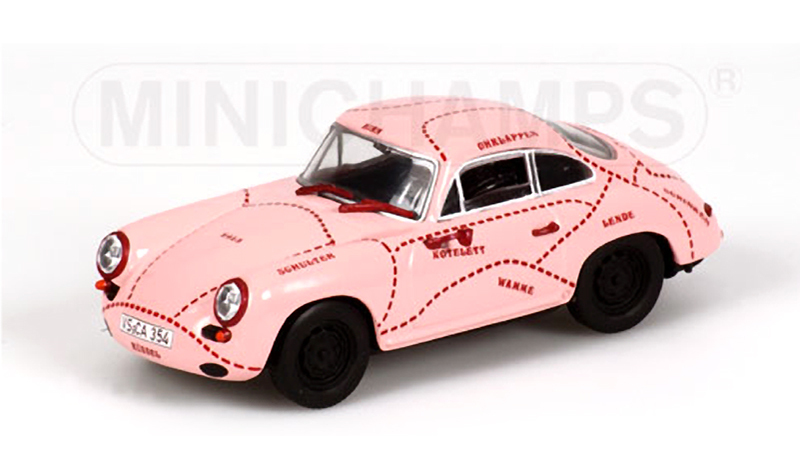 You can find the Porsche Pink Pig all over place! 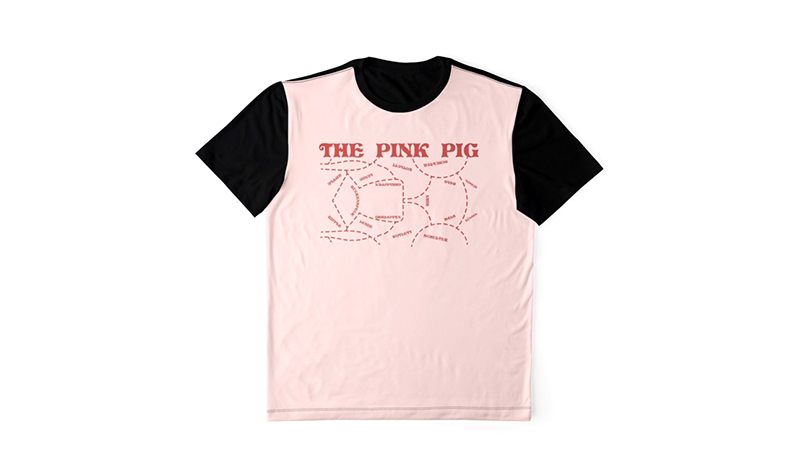 From models to mugs, artwork, shirts, phone cases and of course, a Pink Pig Piggy bank! The bank was a Porsche Museum piece, and came in two sizes. Out of production, you can find them occasionally on Porsche sites or ebay. The small version is shown at left. The model cars are more readily found. 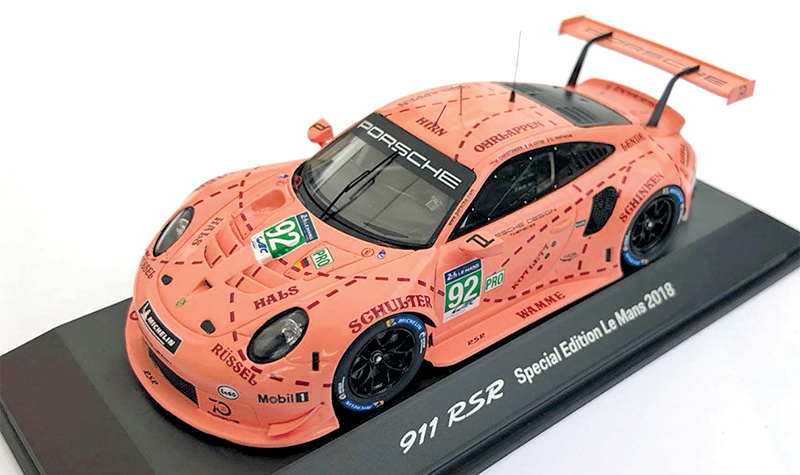 The tribute car from 2018 model car shown below was produced by Spark for the Porsche Museum before the race itself. The normal production Spark model will be out soon. 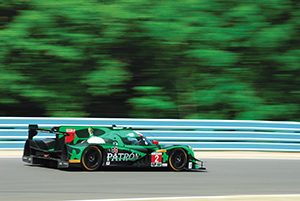 The Minichamps versions in 1:43rd can be readily found and the Spark 1:43 model is currently available at the time of this writing. 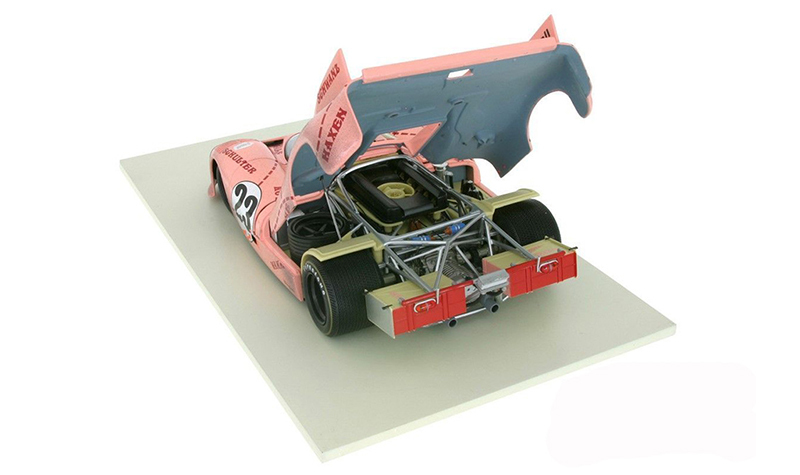 A gallery of Porsche Pink Pig models and more! All models are 1:43rd scale unless otherwise noted.